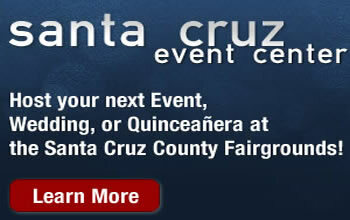 Watsonville, CA – A shipwreck has arrived at the Santa Cruz County Fair as the pirate Capt’n Jack Spareribs brings new entertainment to the Fair. 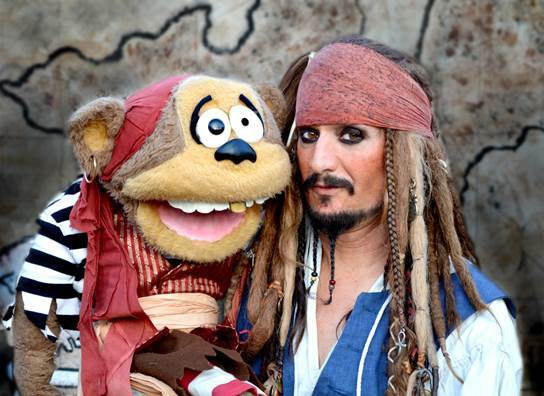 Visitors may catch a glimpse of the “Jack Sparrow” spoof moseying around the Fairgrounds throughout the day and those who stumble upon his wrecked ship will witness the pirate’s comedic performance that features juggling torches, knives, cannon balls and clubs, along with magic tricks and ventriloquism. Kids in the audience are invited to be part of the show. Spareribs, also known as Ace Miles, has fully committed to the pirate life. He got the tattoes, installed real gold teeth and grew his own pirate beard, that’s right kids, the beard is real. From his start as an entertainer in the Bay Area, Miles has performed at festivals and fairs throughout California, Nevada and Washington for the past 30 years. 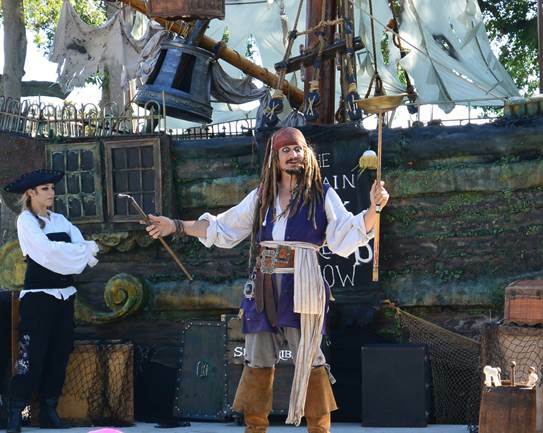 Visitors will see Capt’n Jack Spareribs strolling the grounds and performing three times daily on the Playhouse Stage.